Drinking plenty of hot fluids is helpful in eradicating the bad bacteria which are causing the infection, but to really get to grips with relieving the sore throat, you need to gargle a solution of extremely hot water and salt for about 4-5 seconds at a time. Spit it out and do it again when your throat is ready to take some more; drinking some cold water between gargles helps. The hot water and salt will help to kill off the bacteria and slow down their proliferation. 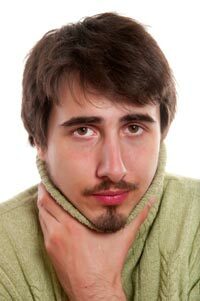 The effects of a sore throat can be quite irritating and you will find it difficult to concentrate on more important things. Lozenges help to numb the pain in the short term as your body tries to ease the sore throat. Lozenges which contain menthol, benzocaine or phenol are best. You may opt instead for analgesic remedies to reduce extreme pain or inflammation in the throat. Aspirin, nurofen, acetaminophen or ibuprofen can be purchased over-the-counter, but you may prefer discussing your sore throat with a doctor before you engage with these remedies. Keep your mouth as clean as possible by brushing your teeth and your tongue two or three times a day. Floss between your teeth and rinse it with mouthwash when you can. These steps help to reduce the amount of bacteria influencing the respiratory tract and especially the sore throat, where the bacterial infection is greatest.